This is especially true if you’re looking to target expats as there is an active expat community on Twitter. They talk about various subjects from their experience abroad, to daily life and their holidays. But most of all, they’re willing to amplify brand messages. But who are these people – and how do you reach them? My partner is busy at work, my little boy can find friends around the camp site, but what about me? I’m nervous of venturing out on my own as they drive on the “wrong” side of the road here and I seem to have lost some of my confidence, so I’ve ended up being alone with my laptop for the vast majority of my days. I can honestly say that without social media sites I would probably be insane by now. Expat brands on Twitter are uniquely positioned to help expats during some of the most challenging times of their lives. This means that there is an enormous possibility for brand evangelism and message amplification for brands that do it well. 1. Jo Parfitt – Living in The Hague, Jo has authored 27 books. She has over 1,300 Twitter followers with a very high level of engagement, constantly involved in conversations with other expats. Jo tweets mainly about book marketing and integration abroad, and here tweets are very often retweeted by other people. 2. Steve Gory – With over 8,100 followers, Steve is a highly influential expat on Twitter. Also in The Hague, Steve tweets about a variety of subjects from life in the Netherlands. Steve is on 87 Twitter lists. 3. Tiffany Jansen – Boasting over 1,100 followers, Tiffany is another expat in The Netherlands. She has an extremely high level of Twitter engagement, often starting conversations about expat life. Tiffany is a source of information for a number of established Twitter accounts, including the Just Landed ones. 4. John Falchetto – John is an entrepreneur tweeting from Avignon, France, who has over 3,000 Twitter followers. 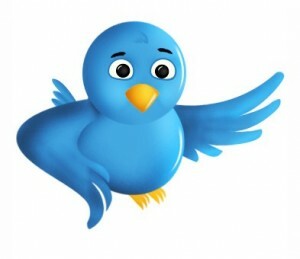 He is a great message multiplier, as he often RTs (retweets) messages. Posted in Social Media.Tagged Tweets, Twitter.